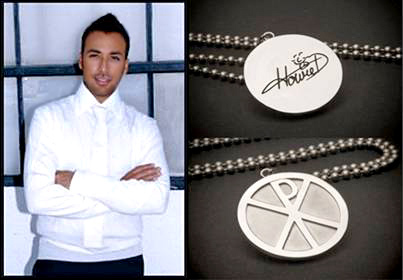 Howie's Favorite Pendant Picture Contest! Re: Howie's Favorite Pendant Picture Contest! what is this about? When I click the link it gives me a log in screen and every time I click the link after I logged in it take me to my own my space. I really would like to have his pendant and I'm going to buy it, but I think it's a little strange that you can only win when you all ready have one. I mean I need only one!!!! what does the pendant look like? I've never even heard of it till the first time I read this post. And why would someone want to win one if they already have one? ?